Poovar is one of the natural marvels where the river, lake, sea and shoreline meet the land. Poovar is intact and uncultivated, swathed by the most composed backwaters, and exiting out to the sea and a trance golden sand beach. The historical significance of Poovar has its sturdy ties with the well-known King of the primeval princely state of Travancore- Marthanda Varma Maharaja. For these reasons, hordes of tourists swarm this place all round the year. 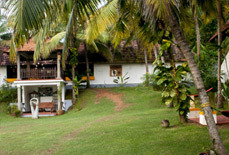 To serve this influx with cozy accommodation, there are several comfortable hotels and resorts in Poovar, Kerala. 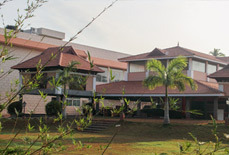 The hotels & resorts in Poovar greet the tourists with warm hospitality. These snug hotels are tastefully appointed with top-quality amenities making a stay peaceful and genial. The conscientiously intended and airy rooms of these hotels are well operational with supreme amenities and attractive interiors. The vistas from the windows in these rooms are absorbing. The hotels & resorts in Poovar vary from lavish to budget and hence, every vacationer can get a relaxed accommodation within his means. 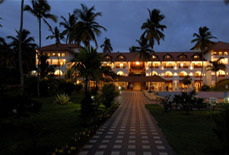 Some of the major luxury hotels in Poovar are Club Mahindra Poovar, Isola Di Cocco, Poovar Island Resort, etc. The major deluxe hotels here are Haveli Island Resort, Hotel Over the Hill, etc. 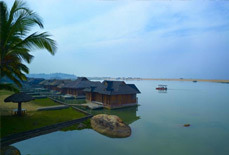 In addition, the list of major standard hotels here includes the names like Geethu Internationals, Leela Backwaters, etc. 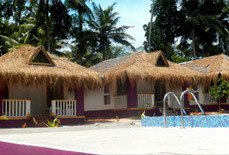 We at Tour My India, offer the best deals on booking a hotel in Poovar. Drop us an e-mail and have the benefit of a hassle-free booking.